An E-commerce business takes a lot more than just creating an attractive website and listing items. The ever-evolving need for online security and effective solutions to combat security threats is the biggest challenge of the e-commerce sector. E-commerce websites involve a lot of confidential information exchange. Such as transaction and bank details, credit-debit card numbers and PIN numbers thus making it more susceptible to cyber attacks. SSL certificates that enable the green https bar provide the much-wanted security. But what about the security threats that may attack at any stage and at any page of the website? Will you be protecting each and every page with an individual SSL? The answer will be certainly yes because this is what seems to be the ultimate solution. But what about the management and budgeting of these certificates? 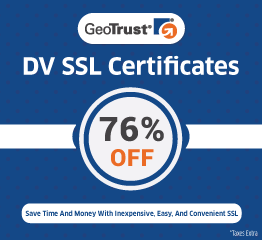 Buying and investing in individual SSL certificates is not only expensive but is also very hard to manage and maintain. E-commerce companies invest about millions of dollars annually on the website security. And Wildcard SSL certificates come as a rescue to such issues. 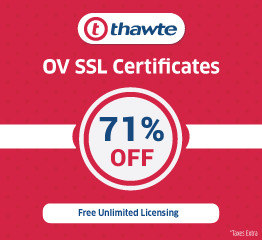 A wildcard SSL let you buy a single certificate and customise it as per the needs. It is highly effective, affordable and easily manageable. It allows you to secure various domains and sub-domains thus protecting the security of your clients at any page of the website. You can protect the login page, the shopping page, payment page and every other domain and sub-domain with just one single wildcard SSL. A Wildcard SSL works exactly like a traditional certificate but at a much lower cost with a wider coverage area. It prevents your website while online shopping builds trust and preserves the loyalty of the customers. 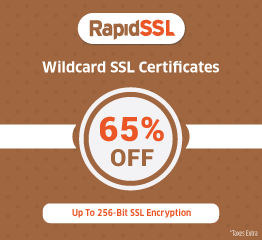 Unlike traditional SSL certificate that will work only on a single domain or page, a single wildcard SSL will shield the domains, sub-domains and all the pages efficiently. Installing and guarding your e-commerce website with a wildcard SSL is a smart move. It will not only grow your business and protect your customers but also provide overall money saving and simplify the security administration process.